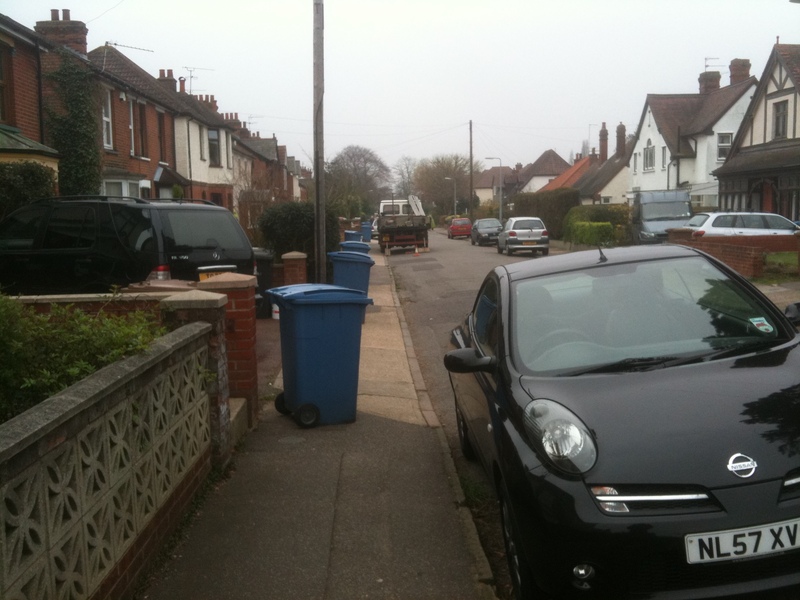 Getting bin collections compliant with the Equality Act 2010? Our blue and brown bins were emptied today and it occurred to me that the bin men have a choice about where they leave the empty bins. 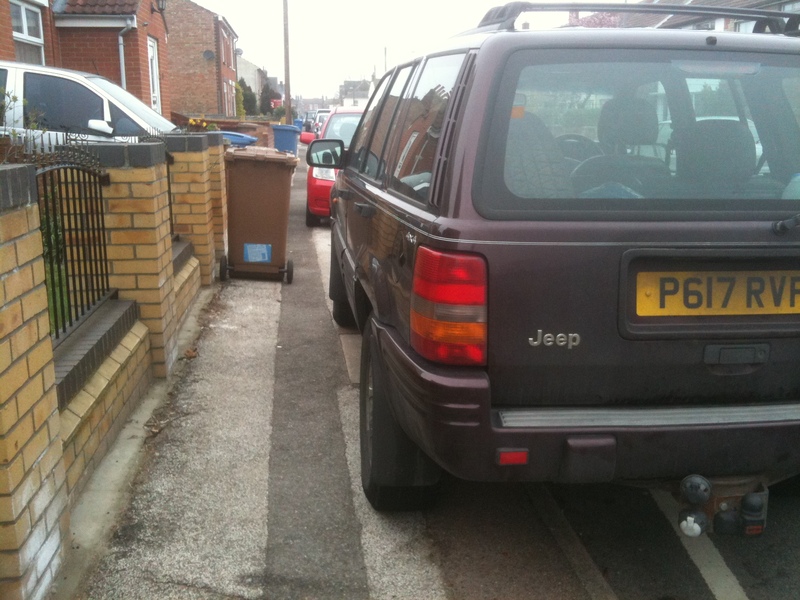 Their can leave them on the pavement close to the property (which is what they normally do), or in line with parked cars at the edge of the pavement close or on the carriageway as appropriate. Personally I think the current situation does constitute discrimination and that ‘reasonable adjustments’ are in order and that bins should be left in line with the parked cars rather than at the back of the pavement where this is required to maintain a usable pavement. I will email the council and ask them to comment on this suggestion and to review their guidance with regard to bin collections. ← Dog poo on the pavement leads to £1,000 fine, car storage is free! 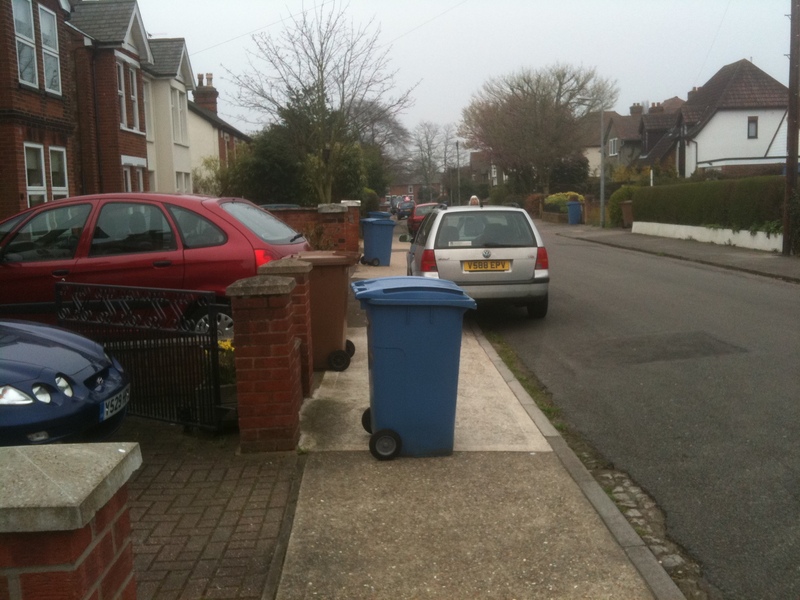 Mind you, the bins wouldn’t be quite so much of a problem if there weren’t also cars on the pavement ! We don’t have bin-men over here. Instead, robots empty our dustbins.